The answer to your short-term staffing needs. How often have you been caught out short staffed when you are at your busiest, dry cowing the herd, teat sealing heifers or calving season and managing new born calves with their colostrums requirements etc? Employing someone with no experience may slow you down and you may not need them in a month or so. It’s at times like these you wish you had someone with 30 years of dairying experience that just knows how to get the job done quickly and efficiently from day one. Our Farm Technician Phil Keegan is available to Warrnambool Veterinary clients via our Farm Assist Program to work with you on your seasonal jobs. 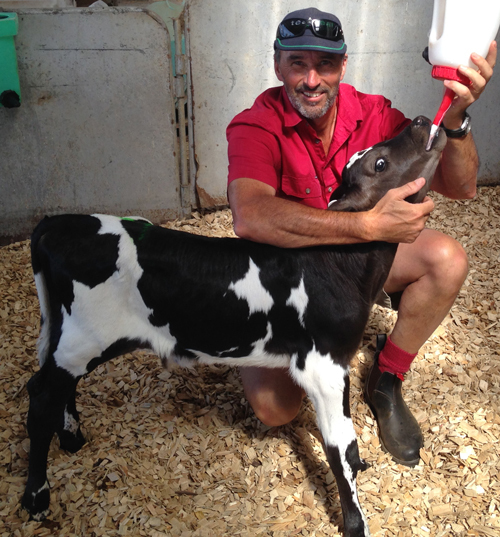 Having operated his own dairy farm before joining our team, Phil has all the experience required to help you get through the hectic times on your farm without the hassle of adding temporary staff. Give the clinic a call about our Farm Assist Program and take the stress out of your short-term staffing demands. Call the Farm Desk today on 5561 7666.